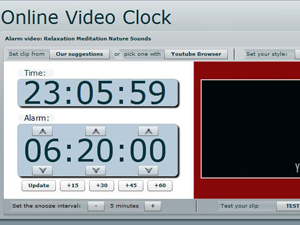 Online Video Clock is an online alarm clock based on youtube - Set any youtube clip as your alarm with snooze option. Choose any youtube video which will play at the first moment in your morning. Wake up with your favourite video clip.